Teddy comes from the Pokot community, in the Northern parts of Kenya. Education is not much of a priority amongst the community members and once a child is orphaned, the only support they can be given is tend to cattle for a living. Teddy found himself in this situation after losing both his parents to AIDS and he had to take care of his two younger brothers. 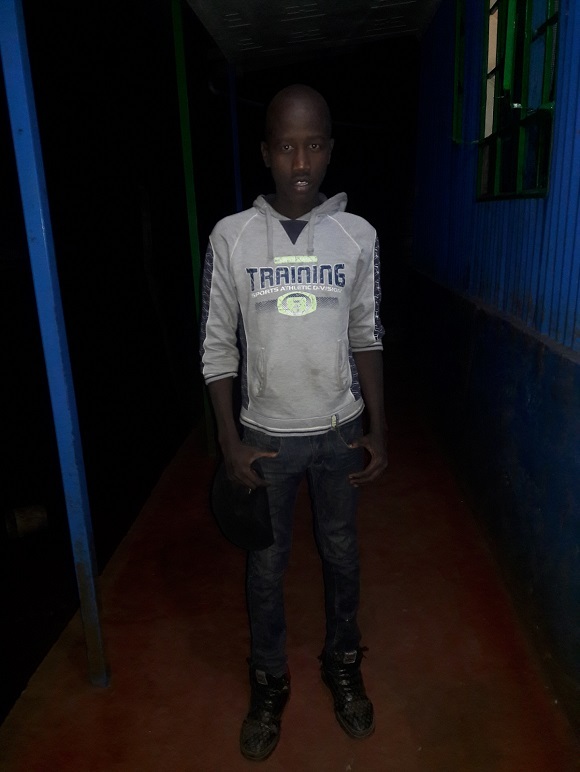 Teddy got a chance to attend the local primary school with the help of the local community but after perfoming very well in his Secondary entry examination, they took him to a children’s home since no more help was available. In his community, if Teddy misses the chance to have a secondary education he will join the other young teens in tending livestock. There would be little to no chance of him being able to sustain a job with that skillset. He needs help both morally and financially to make something out of himself and be in a position to help his 2 younger siblings. Teddy is a very smart young man who if supported has a very promising future. He desires that his younger brothers never gets to go through much struggles like him and he works very hard in school to ensure he succeeds and gets in a better position to take care of them.